We live in a 6 year old Georgian style house with a garden and swimming pool. The house has 2 floors: on the lower level is a large kitchen with maid's quarters, living room, dinning room and a TV/ bar area. On the upper floor: 3 bedrooms all en suite and a TV area. Living in maid is optional at no extra cost (she only speaks Spanish). Security guards at both street corners. Isabel is an architect and landscaper. She designed and built the house and garden. Peter is the bursar (finance and administration director) of a British school. 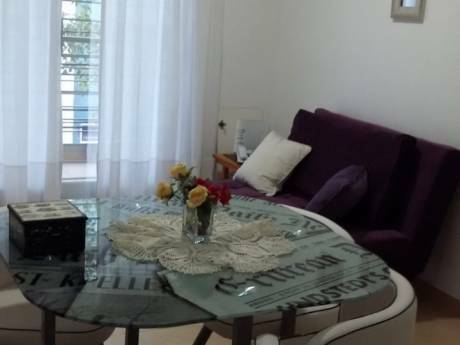 We enjoy travelling and are newcomers to home exchange, but are willing to give it a try. We have 2 teenaged children who would like to connect to other teenagers. 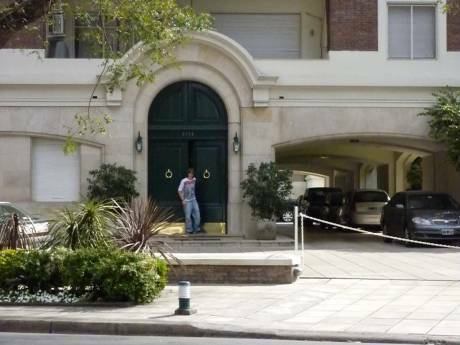 In the northern suburbs of Buenos Aires, in an area of large homes, very quiet. Neighbours all speak English. 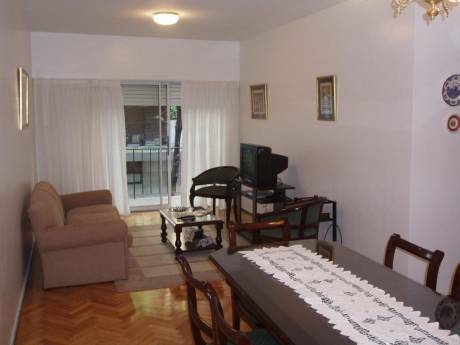 Train station 4 blocks away, 35 minutes to downtown BA, 20 min. to Tigre district. On demand car service is very inexpensive in BA. Food shops and restaurants nearby.